FOR BUSINESSES that take payments by credit card, debit card or contactless cards this is an easy route to raise a loan even if your bank says no! Simply put, it’s a cash injection for your business, which you pay back only as you earn, through an agreed amount of your credit & debit card sales. So it is up to you what you spend it on, and unlike a loan, there’s no APR or fixed payments. Providers usually charge a one off fee depending on the value of the loan and the risk they wish to take. With just one simple cost which is agreed as a percentage of your takings by card, before you take the loan out, it can be a quick method of raising cash and seeing an affordable repayment plan. Usually the repayment will be between 15% and 25% of your future card takings. What happens is the funder sets up a new bank account for all your card receipts from your card merchant – an intercepting account if you like – then payments less the loan repayment are made to your business bank account. For example, if you take around £20,000 a month on card sales on average, then a loan of around 4-6 weeks’ worth of sales or £18-25,000 could be available (set by lender not you). 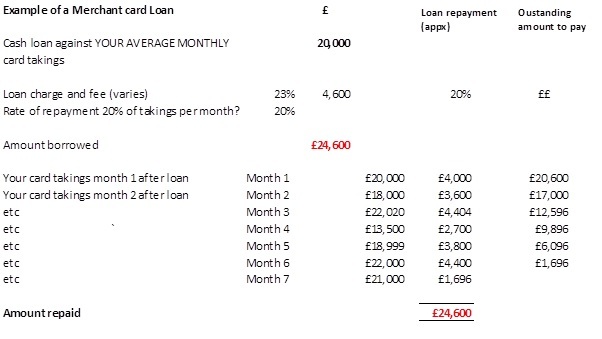 Then an agreed rate of repayment is set up. This can be 15-25%. See a simple example of this type of loan below. Whilst certainly not as cheap as a bank overdraft or bank loan, it can be quickly obtained and works well. Almost all trading or retail companies will be eligible for this unless they have a very poor track record. When you have settled the merchant cash advance, you can borrow again if further funding requirements arise. Can be used for cashflow issues, payment of VAT or for growth, new stock etc. No further security is required and once processed your account is funded within a few working days. There is no fixed payment – just the agreed percentage of your future card sales repays your outstanding balance. If you have a quiet week or month then less is repaid. If you have a really busy month then more is repaid. Online statements let you know the current position quickly. There is no security registered against the company. This product is not suitable for start ups or those businesses that do not take card payments. You will be asked to sign a personal guarantee. 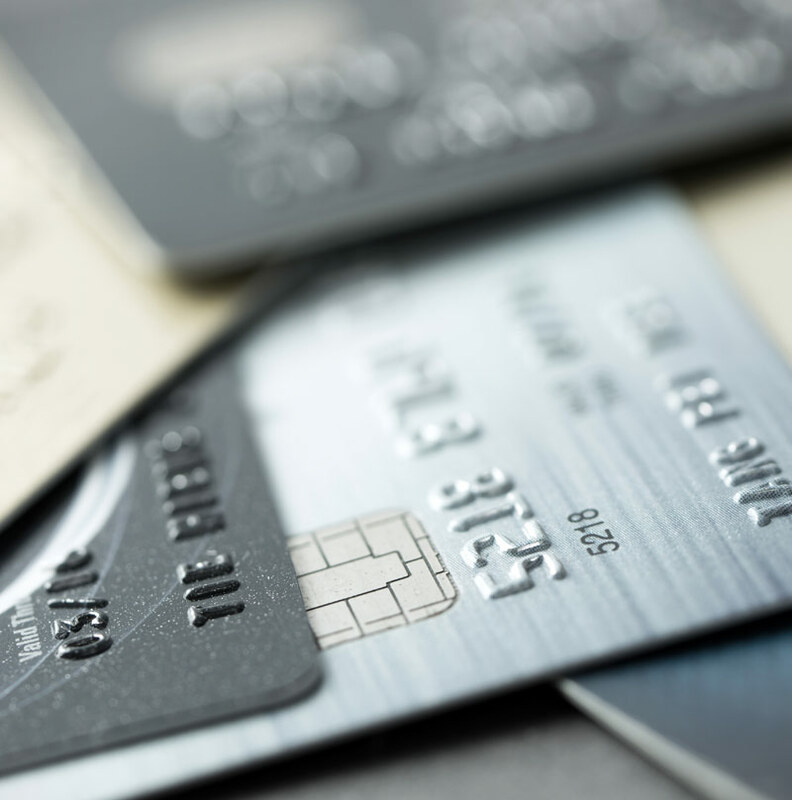 If your bank has provided secured loans it may require further information if you use a merchant card advance.